At Mapleridge Children and Adult Dentistry, we strive to provide patients of all ages with the highest quality dental care and the smiles they’ve always dreamed of. 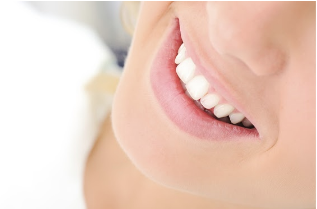 Dr. Saini and her skilled staff offer a wide variety of cosmetic dental services, including dentures, that help patients achieve a brighter and even more beautiful smile. Our team is conveniently located in Liverpool, NY, making it easy to pop in for a question or to schedule your next appointment. If you are interested in cosmetic dentistry like dentures, let’s start the conversation! Come by your local Liverpool dentist today! Are Dentures Still A Popular Option? Dentures used to get a bad rep, but today, that’s a thing of the past. Amazing advances in dental technology have developed dentures into an excellent cosmetic dentistry option. Many patients used to be worried about the unfortunate sticky, adhesive paste. The good news: we no longer use it! Dentures have become a much more enjoyable dental option for many patients. Come discuss the new advancements in dentures with our Liverpool cosmetic dentist. Remove your dentures every night: we recommend that patients remove their dentures at night to allow time for your gum tissue to breathe and rest. Be careful with your dentures: avoid dropping and breaking your dentures. To do so, always hold your dentures over a folded towel or a sink full of water. Any surface that will not crack your dentures when dropped should be fine. Clean your dentures daily: care for your dentures just as you would your teeth! Clean them with a toothbrush and denture cleaner to prevent stains. Avoid using toothpaste or household cleaners on your dentures as they can be too harsh. Care for your dentures even when they are not in your mouth: unfortunately, dentures can dry out and lose their shape. To avoid this keep them moist at all times. We suggest that you place your dentures in a denture cleanser soaking solution or in water when not being worn. Never place them in hot water as that can cause the dentures to warp. Of course, there is an adjustment period when you first receive your dentures. Luckily, your Liverpool, NY cosmetic dentistry is here to guide you through the process. With proper upkeep and regular adjustments, your dentures will feel natural in no time! At the beginning, you may experience some temporary symptoms like slurred speech, difficulty chewing, excessive salivation, minor gag reflex, and a strange or diminished taste. Our Liverpool dentist suggests eating softer foods to start, and then gradually working your way to firmer foods as you adjust to your dentures. At Mapleridge Children and Adult Dentistry, we understand that the transition to dentures may feel like a big step. It is for this reason that patient comfort and satisfaction is the utmost priority to Dr. Saini and her Liverpool, NY team of professionals. Never hesitate to share your questions or concerns. We are always here to lend a listening ear and be your dental care resource! Contact us to schedule your next appointment! We look forward to seeing you again soon!